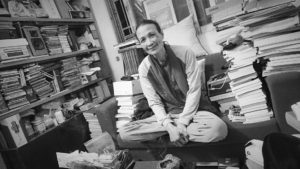 The Independent Chinese PEN Center (ICPC) announced the winners of the ICPC’s 2017 Free-to-Write Award, Lin Zhao Memorial Award, and Liu Xiaobo Courage to Write Award and the judge’s comments. The Independent Chinese PEN Center (ICPC) announced the results of three annual awards for promotion of freedom of creation and fight for freedom of speech. 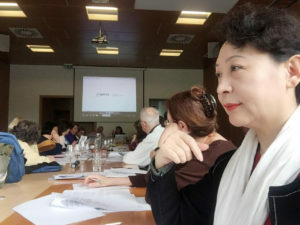 As a vital writer of feminist writings and feminist issues, Zhao Sile wrote the book, entitled “Their Fighting History: Battles, Setbacks and Conflicts – Civil Awakening of Chinese Women.” The book was published in Taiwan this year, receiving favorable feedbacks from intellectuals and campaigners across the strait. 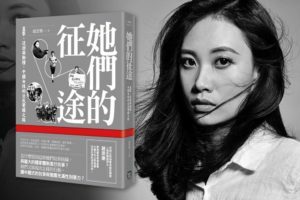 The book became one of the original works that are rare in Chinese-speaking communities, (especially in mainland China), and succeeded the work by Zeng Jinyan, entitled “Feminism and Genesis of the Citizen Intelligentsia in China,” deserving compliments and encouragement from individual writers. 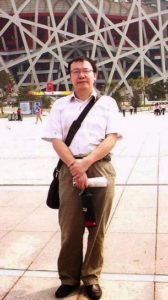 The ICPC also expects that the example of the imprisoned poet and writer Li Bifeng winning the award, encourages people among the Chinese-speaking communities, and even in the international society to pay more attention to writers who are violently treated and put behind bars by their own countries, especially those writing their plight in prison and demonstrating lofty thoughts through writings. Since the three awards were established, the ICPC’s 2017 Free-to-Write Award, Lin Zhao Memorial Award and Liu Xiaobo Courage to Write Award have been granted 15, 13 and 7 times respectively. The former winners of the three awards prior to this year’s awards are Chinese poet Wang Zang, Hong Kong-based writer Zeng Jinyan and dissident writer Chen Shuqing, now imprisoned in Hangzhou, China. 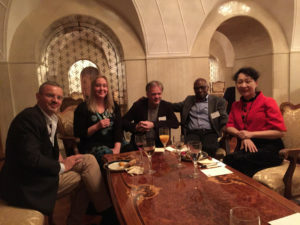 The ICPC is expected to hold an award ceremony for the above three awards in the American East by the end of this year. 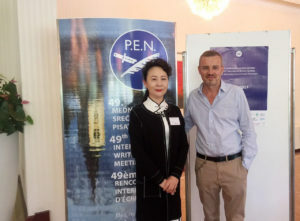 At that time, members of worldwide pen associations, representatives of Friends of LXB, writers, scholars and journalists from the US, representatives of PEN America, of PEN New England and of Freedom of Publication Community will be invited to attend the ceremony in person or watch it live. PEN International and the undersigned writers and international members of the International Freedom of Expression Exchange (IFEX) are dismayed by the serious financial crisis facing the Inter-American Commission on Human Rights, the human rights body of the Organisation of American States, and the devastating impact this could have on respect for rights in the Americas, including freedom of expression. We call on all member states and permanent observers of the OAS, as well as other donors, to make additional financial support available to the IACHR as a matter of urgency. On 23 May, the IACHR reported that severe financial problems have forced it to cancel its July and October sessions and all trips planned for this year and, if new funding cannot be secured by mid-June, will lead to the non-renewal of the contracts of 40 per cent of its staff (31 employees out of a team of 78). Given that the IACHR is already overstretched and struggling to reduce a back-log of cases, these cuts will have an extremely damaging effect on the body’s ability to carry out its work, now and in the future. Created in 1959, the IACHR is one of the three main regional human rights mechanisms worldwide and plays a vital role in the promotion and protection of the rights of individuals in the Americas. Its Office of the Special Rapporteur for Freedom of Expression, established in 1997, has been essential in supporting victims and facilitating remedies, advising member states, and keeping the world informed about freedom of expression and press freedom abuses and advances in the region. 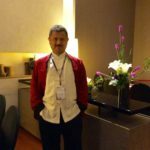 For example, in 2014 the IACHR ordered the Honduran state to suspend the implementation of a sentence on Julio Ernesto Alvarado which would have prevented him from working as a journalist for 16 months, among other criminal sanctions, and followed up to ensure the government complied. Despite this, in recent years the IACHR has suffered a significant drop in funding from both member states and permanent observers, according to IFEX’s Latin American & Caribbean Alliance (IFEX-ALC). For example, member states Argentina, Canada, Chile, Colombia, Mexico and the United States of America all reduced their contributions to the IACHR between 2013-15, says IFEX-ALC, while Ecuador, Paraguay, Peru and Uruguay have contributed only irregularly. Of 13 permanent observers of the OAS that have provided funding for the IACHR recently, 10 of them have yet to make payments in 2016, according to IFEX-ALC: Azerbaijan, Finland, France, Greece, Ireland, the Netherlands, Norway, Sweden, the United Kingdom and the European Union. The current financial crisis facing the IACHR is also due to a systemic lack of funding from the OAS, according to the IAHCR. ‘There is a deep discrepancy between the mandate the Member States of the Organization of American States […] have given the Inter-American Commission of Human Rights and the financial resources they allocate to it,’ said the body in a recent pressstatement. ‘The regular budget of the IACHR this year is less than 5 million dollars, which amounts to $0.005 per person in the hemisphere per year. According to the IACHR, this is just six per cent of the OAS’ total budget – whereas the Council of Europe earmarks 41.5 per cent of its budget for the promotion and protection of human rights. PEN International and the undersigned urge all OAS member states and permanent observers and other potential donors to reconsider their financial support of the IACHR. In order to avoid the staff cuts, the IACHR says it needs to receive funds or written pledges by 15 June. We hope that you will help the IACHR continue to stand up for human rights in the Americas. The organisation known today as PEN International began in London, UK, in 1921, as simply PEN. Within four years there were 25 PEN Centres in Europe, and by 1931 there were several Centres in South America as well as China. As the world grew darker just before the outbreak of war in 1939, PEN member Centres included Argentina, Australia, Bolivia, Brazil, Canada, Chile, Colombia, Egypt, India, Iraq, Japan, Mexico, New Zealand, Palestine, Uruguay, the US and others. All the Scandinavian countries were accounted for in the membership, as well as several countries in Eastern Europe. Basque, Catalan and Yiddish Centres were represented, too. For over eight decades, then, we have been a genuinely international organisation, encompassing a wide array of cultures and languages, and today the overwhelming majority of PEN International’s 145 Centres come from outside Europe. PEN was one of the world’s first non-governmental organisations and amongst the first international bodies advocating for human rights. Certainly, we were the first worldwide association of writers, and the first organisation to point out that freedom of expression and literature are inseparable – a principle we continue to champion today and which is expressed in our Charter, a signature document 22 years in the making from its origins in 1926 and ratification at the 1948 Congress in Copenhagen. PEN has grappled with the challenges to literature and freedom for nearly one troubled century, beginning just after World War I to the buildup and eruption of World War II, then throughout the Cold War and the fall of the Soviet Union and into today’s more nuanced climate worldwide. It has responded to modern history’s most dramatic turns, and its heroes have included the most celebrated intellectuals of each era as well as countless tireless and dedicated members fighting to ensure that the right to write, speak, read and publish is forever at the heart of world culture. ‘PEN’: What’s in a Name? Our name was conceived as an acronym: ‘Poets, Essayists, Novelists’ (later broadened to ‘Poets, Playwrights, Editors, Essayists, Novelists’). Following World War Two, as the notion of an executive developed (see below), PEN became known as International PEN, comprising a growing number of Centres around the world. Over time, as our membership expanded to include a more diverse range of people involved with words and freedom of expression, the aforementioned categories no longer exclusively defined who could join. Today, PEN is simply PEN. In 2010, as part of a general rebranding, the organisation was renamed PEN International. Catharine Amy Dawson-Scott, a British poet, playwright and peace activist, founded PEN as a way to unite writers after the devastation of World War One. It was, at first, nothing more than a dinner club, providing a space for writers to share ideas and socialise. PEN clubs would be set up in other European cities, so writers on their travels would have a place to meet friends and fellows. Guests at Dawson-Scott’s dinner included PEN’s first president, John Galsworthy, who spoke of the possibilities for an international movement – a ‘League of Nations for Men and Women of Letters’. PEN held its first Congress in 1923, with 11 Centres taking part. Throughout the 1920s, PEN was unique in bringing writers together regardless of culture, language or political opinion – especially considering the political turmoil the world had begun to experience. In fact, one of the founding ideas guiding PEN was expressed as ‘no politics in PEN Clubs – under any circumstances’. PEN saw itself standing for freedom of expression, peace and friendship, not political debate. By 1933, however, this thinking was challenged by the growing shadow of National Socialism in Germany. 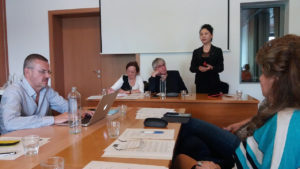 The delegates attending PEN’s Congress in Dubrovnik that year found it impossible to ignore the growing climate of repression and intolerance. Even as early as 1926, at PEN’s fourth Congress in Berlin, tensions had arisen between the German PEN Club and the PEN community in general. A number of young German writers – Bertolt Brecht, Alfred Döblin and Robert Musil amongst them – expressed their concern that PEN in their country didn’t represent the true face of German literature. They met with Galsworthy to express their dismay. The playwright Ernst Toller insisted that PEN could not ignore politics – that it was everywhere and influenced everything. In 1932, at the Congress in Budapest, an appeal was sent to all governments concerning religious and political prisoners. Galsworthy issued a five-point declaration – another stage in the evolution of the PEN Charter as it is today. By the late 1930s, PEN was active in appealing on behalf of writers and protesting against their treatment. The case of the Hungarian-born Arthur Koestler (then a journalist), who had been imprisoned in Fascist Spain and sentenced to death, was one early success: he was freed soon after PEN campaigned for his release. PEN looked very different at the end of World War Two. The original concept behind its creation as a club welcoming writers regardless of race, religion or creed had been fractured by reality. New groups of writers in exile had also been established in London and New York during the war. Pressing issues faced PEN, such as how to deal with writers who had supported National Socialism in Germany and elsewhere, and how to ensure that the growing international PEN community could come together regularly enough and contact each other quickly when necessary. Thus the Executive Committee was formed. In 1949, following the passage of a resolution introduced by the PEN American Centre, PEN acquired consultative status at the United Nations as ‘representative of the writers of the world’. By the 1950s, PEN members were discussing the formation of a committee to examine cases of writers imprisoned or persecuted for their work and opinions. The Writers in Prison Committee came into being as a result, in April 1960. Despite – or perhaps because of – the Cold War’s polarising effect on the world, PEN’s influence spread internationally. In 1967, under the presidency of American playwright Arthur Miller, PEN appealed to Nigeria on behalf of a playwright whose name was, then, not widely known outside his country. Wole Soyinka had been marked for immediate execution by the country’s head of state, General Yakubu Gowon, during the civil war over Biafran secession. A businessman conveyed the letter from PEN to Gowon, who noted the name of its author and asked he was in fact the same man who had married Marilyn Monroe (which indeed Miller had, in 1956). When assured that the very same man was asking for the Soyinka’s release, Gowon released his prisoner – who then left the country and, of course, went on to become one of the world’s most eminent poets and playwrights, winning the Nobel Prize for Literature in 1986. Miller also travelled to the USSR to meet with the Union of Soviet Writers, and was told bluntly that Soviet writers wanted to join PEN but for one major obstacle: the Charter. Miller made it clear that altering the Charter to suit the Soviets was not up for discussion, adding that the vision it articulated was what united PEN worldwide. He nevertheless made sure that dialogue across the East–West divide was kept open; but it wasn’t until 1988 that Russian PEN was finally formed. Over the next three decades to the turn of the millennium, PEN’s reach and impact were felt in most regions of the world. Our voice was increasingly valued and heeded, both at national and international levels, on issues such as freedom of expression, translation, the problems faced by women writers and the very simple question of how to bring writers together across cultures and languages. Our campaigns against the censorship, persecution, imprisonment and murder of writers also never flagged, becoming increasingly sophisticated. During the 1980s and 1990s, PEN’s work on behalf of persecuted and imprisoned writers became well known by the international community, amongst writers and governments alike. In 1989 Salman Rushdie, winner of the Booker Prize eight years earlier, received more international attention then he had bargained for with the publication of his fourth novel, The Satanic Verses. He was forced into hiding after Iran’s Ayatollah Khomeini issued a religious edict: the notorious fatwa (the word entered common usage in the West thereafter). The fatwa called for the author’s death for, supposedly, having insulted Islam in the novel. Rushdie’s ordeal is now part of literary history; he quickly became a symbol at the time, as a writer persecuted for his words. PEN played a key role in the global campaign that called for the withdrawal of the fatwa, and supported publishers of the book worldwide. Rushdie is, to this day, an active member of PEN International, and the former president of the PEN American Centre. In 1995, the focus returned to Nigeria. PEN had, during the early 1990s, followed the case of the novelist, screenwriter and human-rights activist Ken Saro-Wiwa, who had first been arrested in 1992 for campaigning on behalf of the Ogoni people of the Niger Delta. The Ogoni were demanding greater autonomy, and Saro-Wiwa urged multinational petroleum corporations such as Royal Dutch Shell to take responsibility for clearing up the environmental damage to Ogoni lands caused by oil extraction. He was released after a few months, but was detained again in January 1993 for one month following a peaceful protest that had been violently suppressed by Nigerian security forces. In May 1994, four Ogoni chiefs were killed by a mob of militant Ogoni activists. Saro-Wiwa, who had earlier been prevented from attending a meeting with these chiefs, was arrested again along with fourteen leaders of the Ogoni rights movement. In October 2006, Anna Politkovskaya, a high-profile Russian journalist from the independent newspaper Novaya Gazeta who had received death threats for her reporting on the war in Chechnya, was found murdered in the lift of her Moscow apartment building. 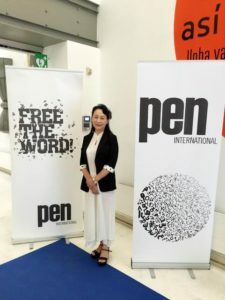 PEN International has since been at the forefront of efforts to bring her murderer(s) to account. 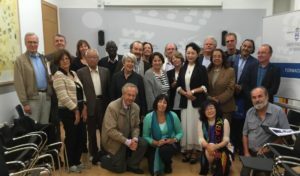 PEN International is now active in over 100 countries, and still echoes Dawson-Scott’s and Galsworthy’s original principles advocating freedom of expression, peace and friendship. Those writers’ voices, and those of the many others who joined them over the past 90 years of our existence, are still very much with us. Without them, PEN International could not have become the strong, vibrant, active movement it is today.